Two bodies, fixed and exchangeable, interact with one another. In doing so, they apprehend a different notion of materiality: Not that of one object alone, but as the relation that exists between separate beings. 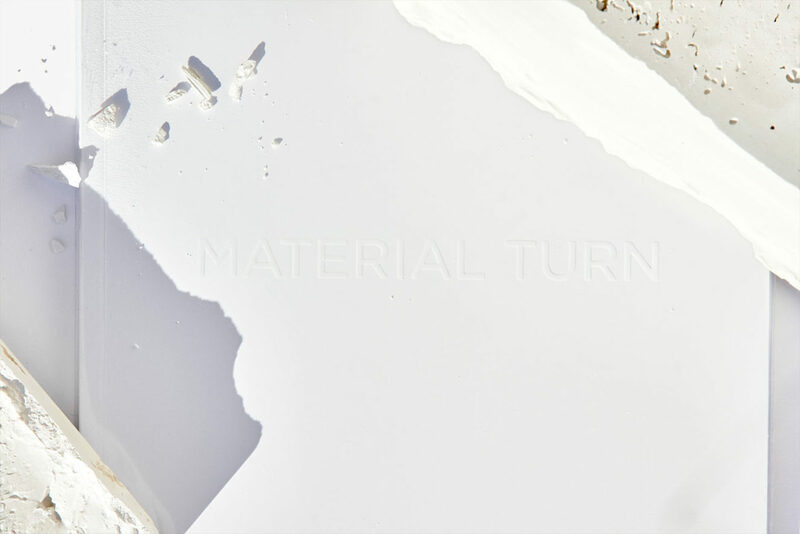 Material turn is an exercise performed by Melitta Baumeister and Paul Jung. In it, the two visual practitioners solidify a moment in time: One by casting a volume-garment out of an otherwise fixed material, and the other by consolidating the act of wearing it. The book explores the relationships that exist between the two bodies, and the way touch and sight may alter the reader’s perception of an object’s qualities.